Updated Thursday August 3, 2017 by Roland Park Baseball Leagues. We are excited to announce that we are now PLAYING BALL on our new RPBL Memorial Field in Mount Washington. It is an exciting time as we have built what we hope to be an ideal Little League ballfield to be enjoyed for years to come. We will be adding some last few touches, ie scoreboard, bleachers & bricks on our walkway! Please take a drive over and check it out. 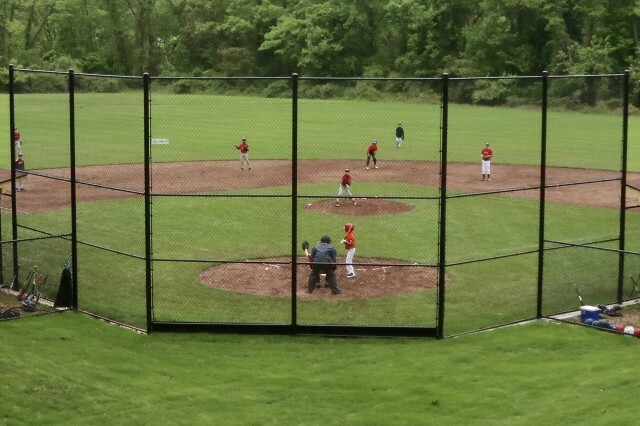 The new field is off Enslow Road directly behind Springwell and across the street from the Mount Washington Swim Club. Thank you to the hundreds of people that are making this dream a reality. Check out the pictures and the movie attachment below to see a fly-over of our new home field being built! OR send a check payable to RPBL to Roland Park Baseball Leagues, 4612 Roland Avenue, Baltimore, MD 21210. Please note "Field of Dreams" in the memo section of your check. Become a permanent part of RPBL’s future by purchasing a personalized brick to honor a player, your family, a team, a coach, or even a fan. Let future RPBL families know what the league has meant to you. All bricks will be incorporated into the pathway leading to our new home field. In the memo line, please write “Brick Donation”. Forms and checks can also be mailed to RPBL at the address on the bottom of the order form. If you prefer to order online, please go to www.bricksrus.com/order/rpbl. Checks should still be sent to RPBL. Please fill out a pledge form today because you love the league, you love the idea of a home field, and your kid(s) love playing baseball for RPBL. * RPBL is a 501(c)(3) organization and contributions are tax-deductible.